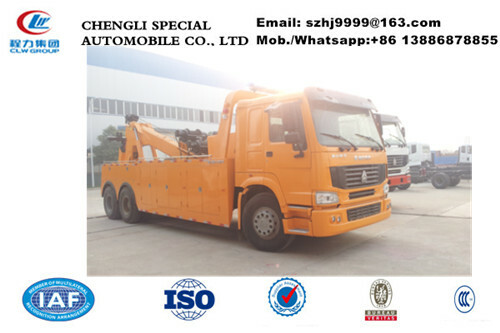 wrecker tow truck is also called heavy duty rotator wrecker truck, It is made of the chassis, hoisting equipment, lifting and towing equipment, hydraulic system, electric control system, truck body and the tool boxes. It combine the hoisting, lifting, towing, etc functions, and the lifting arm can rotate 360 degree, is mainly used in pulling the broken truck, bus or trailer, etc on highway and city road, suburb way ,airport, etc. 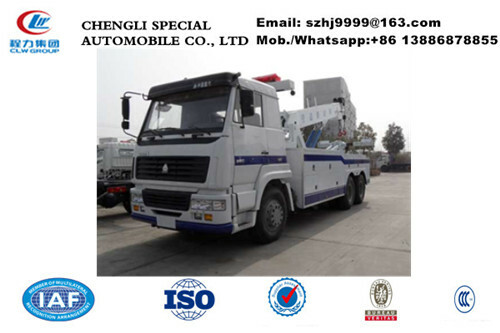 Main Parameter of SINO TRUK HOWO wrecker tow truck manufactured by Chengli Special Automobile Co., Ltd. as below. More pictures of hot sale SINO TRUK HOWO 16tons wrecker tow truck as below. 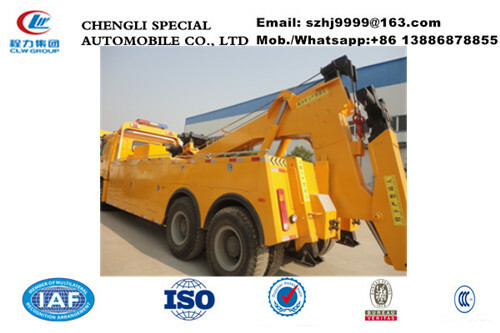 Wrecker tow truck, vehicle rescue, rescue vehicle, the trailer, wrecker, high-speed wrecker, road wrecker, accident wrecker, flat wrecker, supporting crane wrecker, flat a drag two wrecker, heavy wrecker, Steyr wrecker, large wrecker, mainly used for various loading and unloading, installation of lifting operation, especially in the wild, wrecking operation and narrow space operations.